Return Policy: If not 100% satisfied, return watch in 3 days for a full refund. Terms. 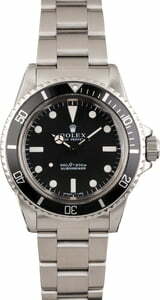 Movement / Features: Automatic 1520 movement, waterproof screw-down crown, acrylic crystal. Case: Excellent case which has previously been polished with light wear from use. Comes with an excellent bezel insert. Inner caseback is stamped: 5513 I.72. Serial and reference numbers are crisp and well defined. Dial: Excellent matte black dial with eggshell hour markers and matching hands. Bracelet: Excellent 93150 with 12 links and 580 end links. 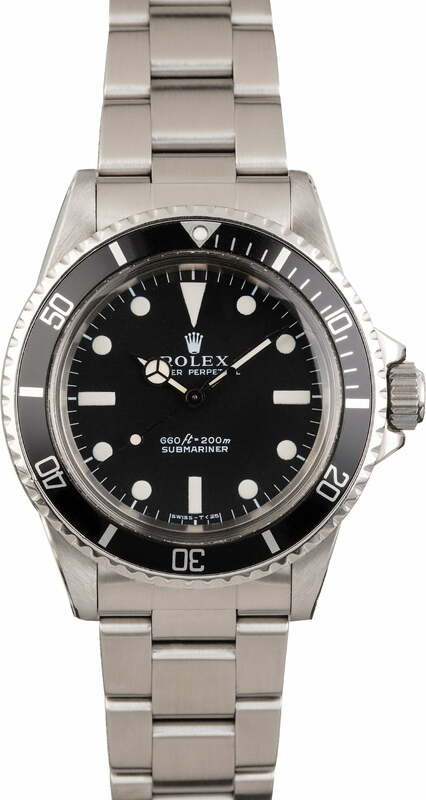 This Vintage Rolex watch is in overall excellent condition with very light wear to the case. The condition of this vintage Rolex 5513 is nicer than I anticipated based on the age. Your staff was very helpful and went out of their way to help make sure I had enough links in the band. Just the way I expect it to be, excellente😊 This is my second purchase from Bob’s Watches , the service is great .